As if it was yesterday, you remember the day your precious little girl was born. It seems not so long ago you cuddled her in your arms and now she is five years old. And now she is a teenager. And in another blink of an eye you are wiping a tear from your eye the day of her wedding. Where did the time go? My daughter is five months old now and I cannot believe how quickly the time passed since this tiny human, with whom I am deeply and madly in love, entered this world. You can't stop time, but you can freeze precious moments in photos. What a timeless gift is photos of mother and daughter! The beautiful connection of the two souls, the love for one another, the physical resemblance, and the precious memories of being together - photographs capturing all these things will grow to be cherished even more with passing of time. 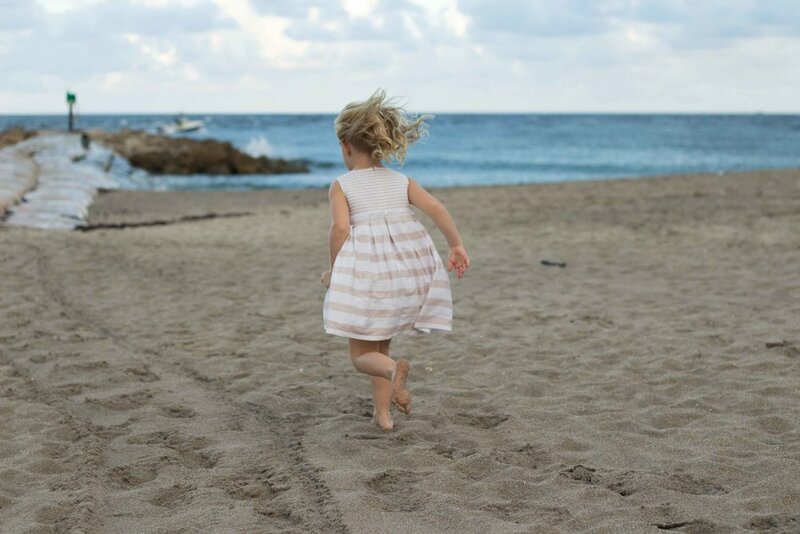 The photos of my dear Emily and her at the time five-year-old daughter Grace were taken on the beach. We actually got rained on in the beginning, and I got some playful shots of Grace playing with rain drops. It was fun photographing the connection that mom and daughter had, though, I must admit, working with young kids can be challenging at times. To capture the beauty of this strong and beautiful woman who helps transform the lives of many young women through the work that she does in the community, I took several pictures of Emily alone. My favorite shot is the portrait above in which her beautiful blue eyes match the blue of the ocean and the clouds in the background! It's been a year since I saw Emily and we are meeting up for coffee this week - I can only imagine how much her daughter has grown and changed since then!